Our new square stabilizer newels offer extra support where you need it with the style to match. 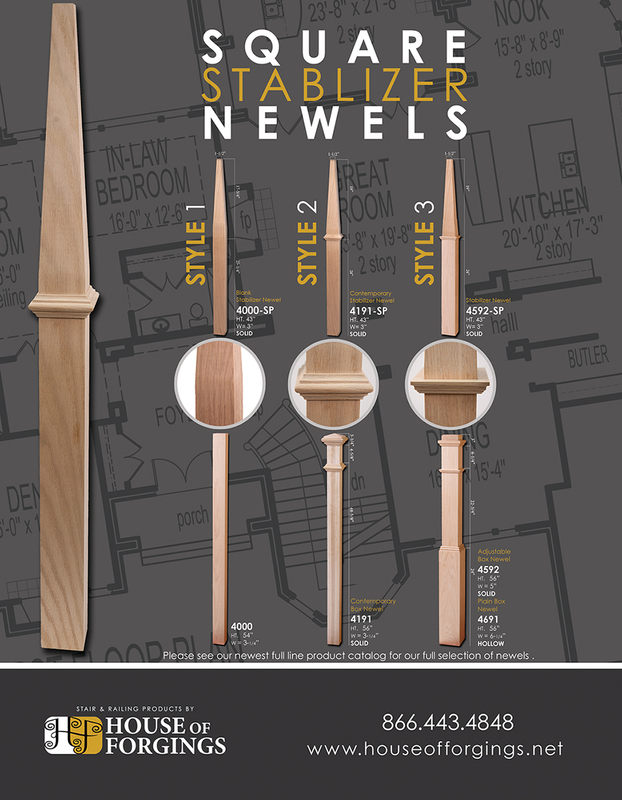 Designed for use with our blank newels and box newels they offer an alternative to the standard round lathed newel typically used with traditional wood newels. Great for use with modern, contemporary and craftsman style staircases we now offer 3 new styles. 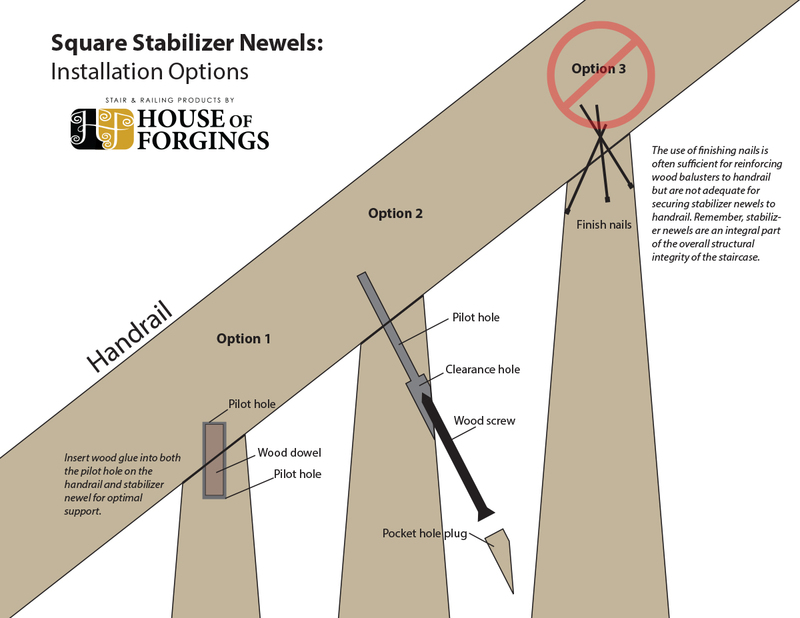 The new square style newels require a different installation method to secure to handrail, unlike round stabilizer newels which essentially function as a standard pin top. See our useful installation options guide below.